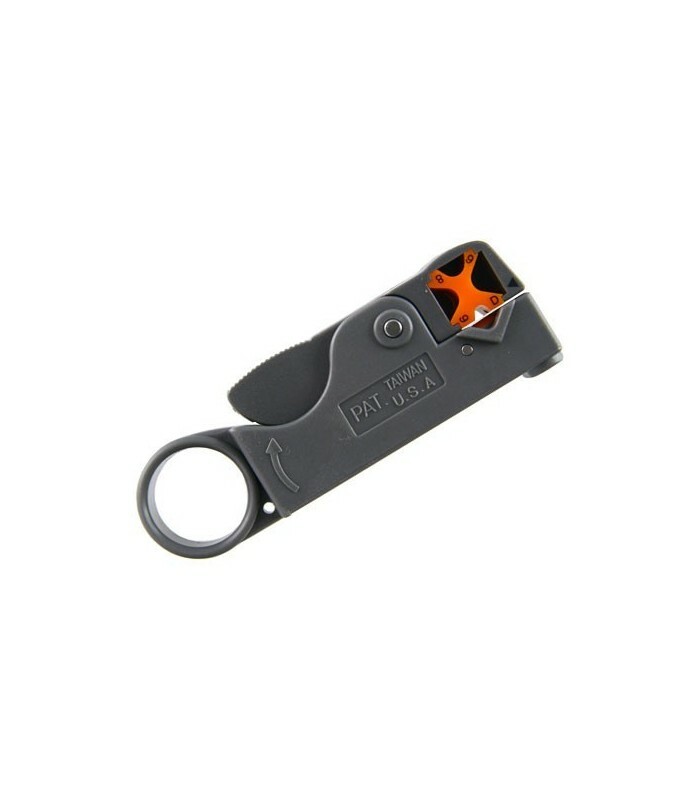 It has an interchangeable accessory that allows to cut cables of different types, including RG6, RG58, RG59 and RG62. It has two blades. Using the allen wrench included, it is possible to vary the depth of cut made. And by modifying the position of the blades it is possible to vary the length of the cut made, which can be 4, 6, 8 or 12 mm. Easy to use and high quality tool, essential in installations.